Learn more about Jackson, Mississippi using the City Guide below. Plan a trip, find local shopping centers, or just discover what makes Jackson, Mississippi so great! Jackson is the capital of the state of Mississippi. Jackson is served by Jackson-Evers International Airport, with direct flights to a number of major cities by Southwest Airlines, and commuter jet flights to regional hubs (Memphis, Dallas, Houston, Atlanta, Chicago) offered by affiliates of Northwest Airlines, Delta Airlines, Continental Airlines, American Airlines and others. Amtrak's the City of New Orleans offers service between New Orleans and Chicago with Jackson's newly refurbished Union Station as a passenger stop. Greyhound offers buses from Union Station in downtown Jackson. Downtown Jackson is situated just northwest of the junction of Interstate 55 (running north and south) and Interstate 20 (running east and west). New Orleans, LA is about 190 miles south of Jackson; Memphis, TN. is about 210 miles north; Dallas, TX is about 300 miles west; Atlanta, GA is about 320 miles east. JATRAN, the city transit system, has buses from Union Station six days a week until shortly after 5PM each day. Pick up route schedules at the JATRAN office, open weekdays inside Union Station. Dixie National Livestock Show, Parade and Rodeo, Mississippi Coliseum and Fairgrounds, High Street. The Wild West Rodeo comes to Jackson each year with this exciting event. Take a tour of Jackson with the John M. Perkin's Foundation for Reconciliation & Development. 1831 Robinson Street. On the weekends you can always find live shows to attend. Jackson has a blossoming music scene, and various bars such as Martins, WC Dons, and Hal & Mal's often feature music ranging from Heavy Metal, to Indie Rock, to Blue Grass. The three aforementioned bars are all located in the same inlet off of State Street, and also just south of the Pearl Street exit from I55. Fondren District, North State Street from Woodrow Wilson to Meadowbrook Rd. Office: 3318 North State Street, +1-601-981-9606. Shopping, antiques, restaurants and more in this quaint neighborhood that is reinventing itself. Aladdin's, on Lakeland West, right before you reach State Street. Authentic and delicious Mediterranean. Jerusalem Cafe. Down the road from Aladdin's, offers Lebanese cuisine and a hooka bar. Nagoya's Sushi and Steakhouse. Off of County Line Road. Amazing sushi. Little Tokyo, two locations in Jackson. One is along I-55 North (+1-601-982-3035 - 4800 I 55 N, Jackson), and the other is in Ridgeland near the Northpark Mall (+1-601-991-3800 - 876 Avery Blvd N, Ridgeland). This is not a sushi-buffet restaurant, but their food is VERY good. If you're want to save money go during lunch, and purchase one of their bento-box specials (about $6.00 - $7.00 USD). Hal and Mal's, Located near Pearl St. in downtown Jackson, Hal and Mals offers a wide selection of domestic, imported, and locally brewed beers along with burgers, po' boys, salads, and desserts. Hal and Mals is also the home of great live music acts and a weekly trivia night. Fairview Inn, 734 Fairview Street, +1-888-948-1908. 18 rooms including suites, private baths, phones, voice mail, TV and VCR's, sitting rooms, toiletries, and air conditioning. Some rooms have jacuzzis, plus many other amenities. Microtel Inn & Suites - Downtown, 614 Monroe Street, +1-601-352-8282. Travelling to or from Jackson, Mississippi? 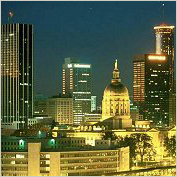 Find flight to or from Jackson, Mississippi with an Online Travel Agency. Get lodging information or make reservations with a Local Online Hotel. Plan ahead and reserve a car with a Local Car Rental Agency. Are you relocating to Jackson, Mississippi? Goods & Services in Jackson, Mississippi.